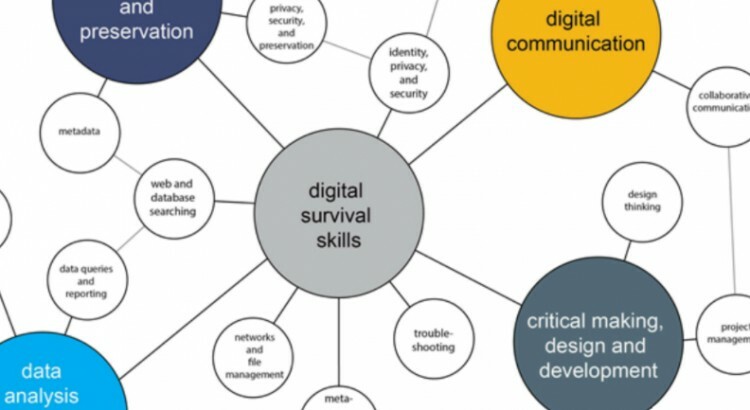 A new Digital Competencies Working Group has formed to build interest and prior work related to Digital Competencies, Digital Studies, Digital Fluency, and Digital Literacy. These terms cover a group of related concepts, all of which reflect concepts and skills that are vital to the 21st Century learner and citizen. The goals of the new working group are to make concrete progress on ideas develop at the 2017 Think Tank and 2018 discussions. LACOL members are invited to join the group; reach out for more information! Group members include faculty, librarians, technologists, instructional designers. Another priority is developing a shared survey of recent grads on their acquisition, use, and needs for digital competencies. Some in the group will engage with liberal arts research around competencies that are critical to the future of work – what fits and what are the disconnects? 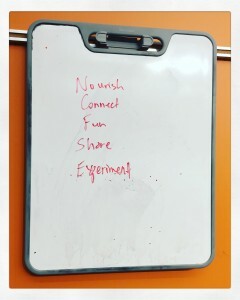 These ingredients will be used to engage with faculty more deeply in student-centered digital competency conversations and collaborations. To build upon foundations laid at the Think Tank on Digital Competencies at Davidson College last fall, an interactive session exploring digital competencies and digital studies across the curriculum will be featured at the the 2018 Summer Workshop. This discussion will focus on how digital competencies and digital studies programs connect with faculty priorities and practices for teaching and learning in the physical and virtual classroom and how digital competencies support and relate to other learning goals. An overview of Bryn Mawr College’s digital competencies framework as one model to stimulate exploration of campus-wide digital literacy programs in the liberal arts, integrating faculty, staff and student comments from the pre-workshop annotation activity. 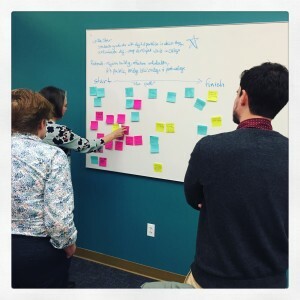 A look at Carleton College’s visioning around curricular pathways for Digital Studies. Discussion of related initiatives across liberal arts colleges, to be continued beyond the session. As input into this discussion, all workshop attendees are invited and encouraged to share reflections in advance by joining in the Group annotation of the BMC Framework. 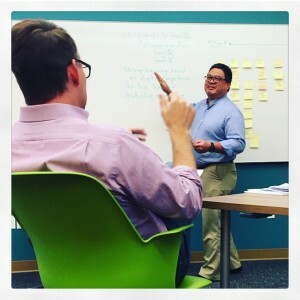 Bryn Mawr’s framework served as the basis for the excellent Think Tank on Digital Competencies last fall at Davidson College which attracted a vibrant group of faculty, librarians and technologists from across the liberal arts. For faculty and staff across LACOL to build upon foundations laid at the Think Tank, an interactive session exploring digital competencies across the curriculum will be held at the 2018 Summer Workshop. This discussion will focus on how digital competencies connect with faculty priorities and practices for teaching and learning in the physical and virtual classroom, and how digital competencies support and relate to higher order learning goals. As input to the workshop discussion, we are inviting groups of faculty, staff and students to annotate a copy of the Bryn Mawr Digital Competencies Framework using a collaborative annotation tool called Hypothesis. This tool is easy to use and allows everyone in a group to add and comment on annotations overlayed on top of any web document through a shared view. Shared annotation for the BMC Framework can help to reveal key trends and themes that will serve as a starting point for face to face discussion at the workshop. In October 2017, Davidson College hosted a LACOL event called the Think Tank on Digital Competencies. 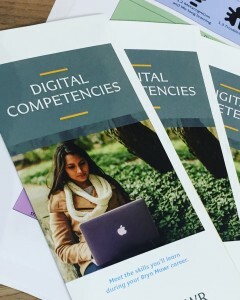 A mix of faculty, campus leaders, librarians, technologists, and instructional designers from liberal arts colleges across the country focused first on the Bryn Mawr College Digital Competencies Program (https://www.brynmawr.edu/digitalcompetencies), tracing its history, motivations, and impacts for students, faculty, and the institution. Design thinking was then used to explore how digital liberal arts leaders may approach similar goals on their campuses. To follow up on a great think tank, the two webinars described below are being offered in January 2018 as a way open up this work on developing a Digital Competencies Framework to those who could not attend the in person event and to continue this conversation. PLEASE JOIN! These webinars are open to everyone through PLACE, the Partnership for Liberal Arts Collaboration and Exploration, https://p-lace.org. In this session, Bryn Mawr College staff will discuss why and how the college developed and launched a digital competencies program. This institutional focus on digital competency reflects our commitment to ensuring students develop digital skills and critical perspectives as lifelong learners prepared for work and life in the 21st century. We will talk about how to develop a framework that’s meaningful within your institutional context, ways to leverage college partnerships and build on campus initiatives, and approaches to integrating digital competencies across the student’s curricular and co-curricular experience. This is the first of two related workshops; the next is “Hands-on Digital Competencies Program Design” on January 16. This is an active session that is meant to follow the “Overview of BMC’s Digital Competencies Framework” session on January 9th. We recommend you join this session with a group of 3 – 5 people, as you will be doing timed design thinking activities together. 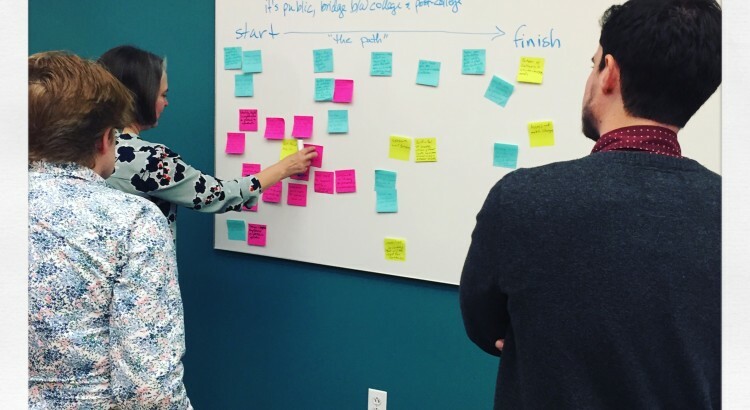 Each group will work through a guided ideation process to establish the goals and components for an institutional digital competencies framework and map out next steps for local program development. The facilitators will provide prompts and examples each step of the way.